For all the non-independent trading, see my weekly trading reports which will cover the Master Traders automated mirror trading and trading in the Live Trading Rooms. Remember, my Daily Trading Reports cover my independent trading using the Harmonic Scanner, which is one of the ways I can make money with currency trading. Remember, I have changed the period so that each daily trading report will contain one day’s trading. So, there will be a morning session and an evening session on the same day. My thoughts being that this will be a little less confusing for everyone, especially me. .I scaled into this trade and had three positions. Now we come to a trade where I outsmarted myself and turned profits into losses. For those of you who noticed my lack of mistakes yesterday, have no fear I have made another one. Hopefully, you can learn from this and NOT make the same dumb mistake. The Gold / US Dollar signal was from yesterday evening. If you recall, I had scaled into three positions and set my stop losses and three profit targets. This trade is still in progress. It has hit the first two profit targets yielding a nice profit so far. If you look closely you will see that I got in at a lower price than what is shown on the chart. I did not see the trade right away, and thus got in at a lower price. I lost some profit potential but felt the trade was still worth it because it was moving in the right direction. Note: Gold trades in dollars and cents. So, trading .01 lots a pip is $.01 or 1 cent. On this $1,000 account that would be a return of $19.70/$1,000 = .0197 or 1.97% in the same day, with one position still open. 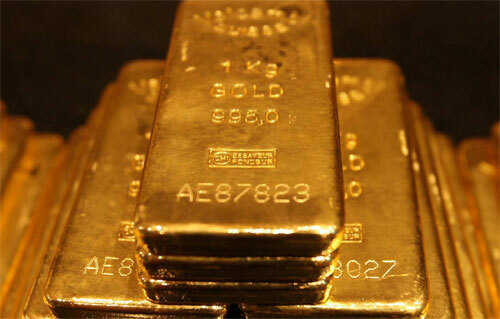 Question: Where did Gold Standard originate? Answer: In London in 1717. 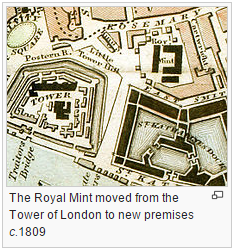 According to Wikipedia; “The London Mint first became a single institution in 886, during the reign of Alfred the Great, but was only one of many mints throughout the kingdom. By 1279 it had moved to the Tower of London, and remained there the next 500 years, achieving a monopoly on the production of coins of the realm in the 16th century. Sir Isaac Newton took up the post of Warden of the Mint, responsible for investigating cases of counterfeiting, in 1696, and subsequently held the office of Master of The Royal Mint from 1699 until his death in 1727. He unofficially moved the Pound Sterling to the gold standard from silver in 1717. The Silver/ US Dollar trade is moving along well. It hit the first profit target and has two positions still open. Both of these are in profit at this time. I am considering moving both of the stops in closer so that these will get stopped out at a small profit instead of losses. I do not think that adjusting the stops at this point is too early and thus I am not repeating my earlier mistake with the AUDNZD. I will adjust these stops before the market opens Monday in Sydney, which is Sunday evening my local time here in New Mexico. On this $1,000 account that would be a return of $3/$1,000 = .003 or 0.3% in the same day, with two positions still open. Lessons Learned 1: Don’t tighten stops too early. Sometimes moving stops is a good idea. For example, if you have an open trade where you have hit your first two profit targets, you very well may want to move the stop loss on the remaining position closer so that the trade is always profitable. However, moving it closer too early before you have a good profit can cause you to get stopped out at a loss instead of having a profitable trade. Lessons Learned 2: Manage your emotions. Don’t let tick by tick price moves drive you crazy. Stick to the trade plan. Once again there were a number of good trades today and profits were earned. I outsmarted myself by moving stops to early on one trade for the Australian Dollar / New Zealand Dollar currency pair and got stopped out on what may have otherwise been a good trade. I am kicking myself a little for this mistake. 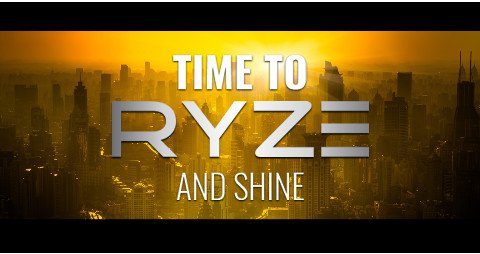 Is it time for you to finally to join me and make money trading with RYZE.Ai? Click here to get started. This entry was posted in Xin's Trading Adventures and tagged Hodo Global, Ryze.ai, RYZE.Ai Performance, RYZE.Ai Software on June 19, 2017 by Xin Zhang.